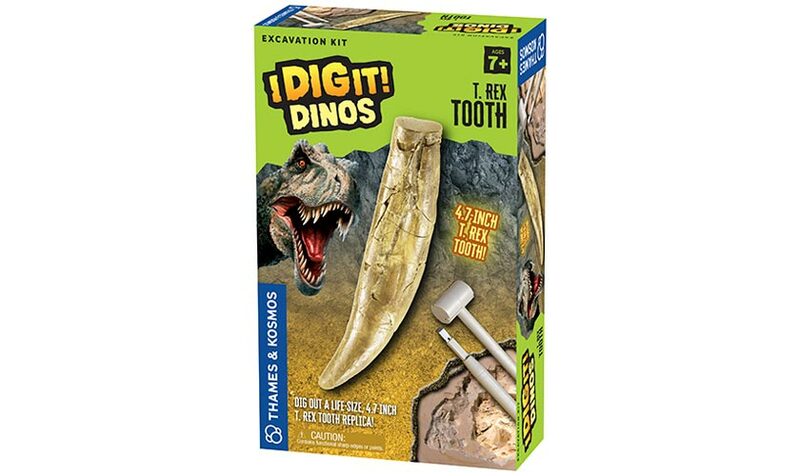 Play the role of a paleontologist and carefully excavate a replica of a full-sized tooth of a Tyrannosaurus rex. The 4.7-inch-long tooth is a full-sized reproduction of an actual fossil. 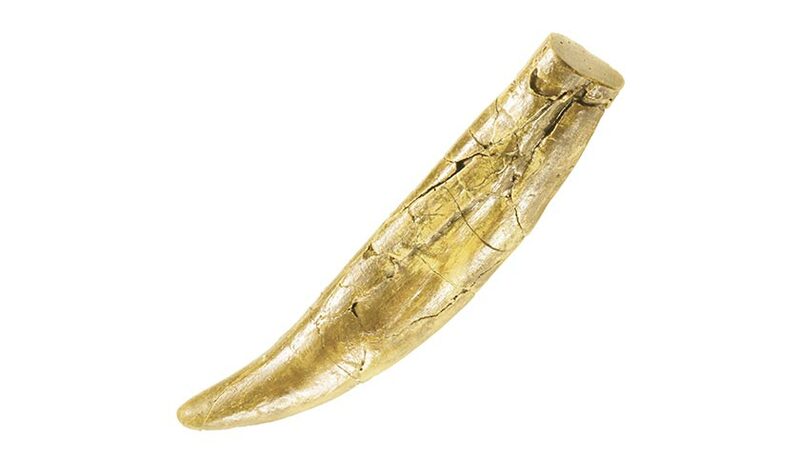 Show the T. rex tooth to your friends, or display it on a shelf in your room. Or use it along with your dinosaur figures to re-enact prehistoric adventures! 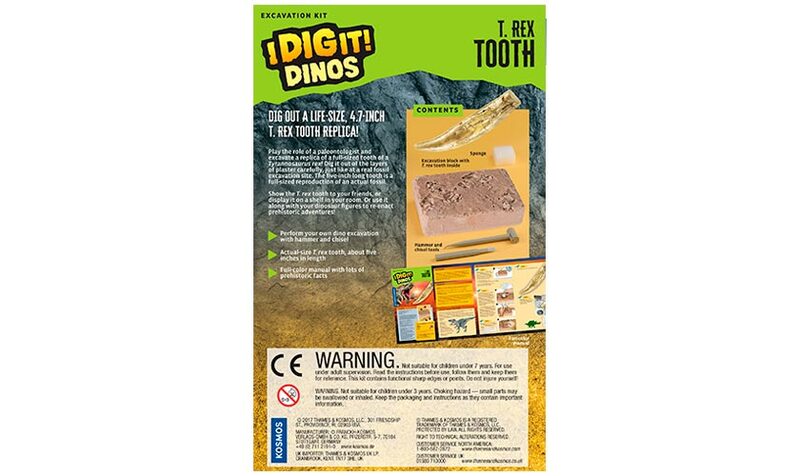 The kit includes the dinosaur tooth replica buried in a plaster block, excavation tools, and a descriptive manual.